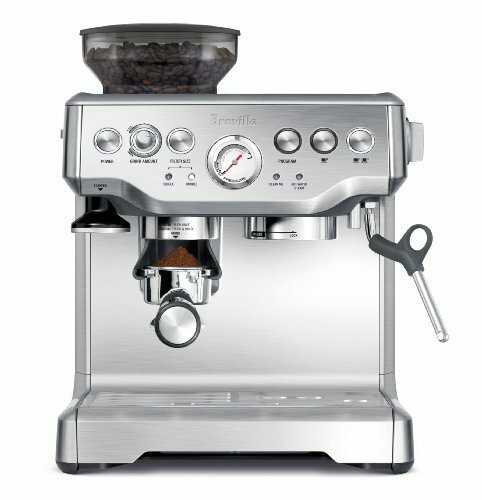 There’s a range when it comes to the best commercial espresso machines for small coffee shops. There’s variety in how many shots you can expect them to make in an hour. There’s also the aesthetic to consider. Want sleek and modern or vintage-inspired? Something to think about. 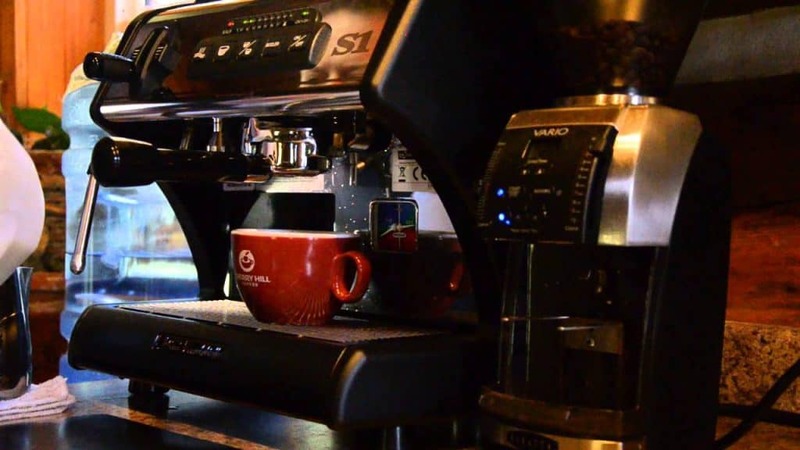 Here are the top nine best commercial espresso machines for small coffee shops. 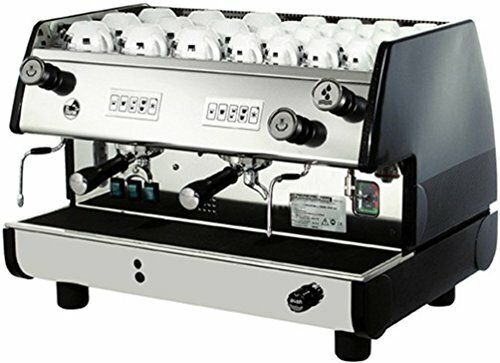 They can help get you through minor rushes, long days, awkward silences (if the machine’s interesting to look at), or just get you over the hump of starting up a small coffee shop on a budget. These may not hold up to the traffic of some of the larger, busier coffee shops, but they’ll be perfect for the volume at smaller ones. There are still plenty of options and features to choose from even within this list. This is a solid machine that has a lot going for it. However, it could be risky to choose it if you plan to use it for years. Good starter machine for a very small shop (for example, in a quiet bookstore)? Possibly. You’ll have to refill the water reservoir. Based on some reviews, this one may not be the best for long-term use in a coffee shop with steady business. It’s a good coffee machine, but a gamble in the long run. 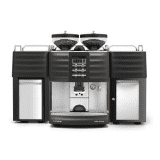 Here’s a coffee machine that can keep up with low to medium volume with no problem. There’s a lot of variety here, so you can hopefully get exactly what you want within the Appia II line. This is one of the more expensive machines, at right around $7000.00. Because there are so many options within this line, even if it sounds perfect overall, you’ll need to do a bit more research to determine exactly which Appia II you should get. This is a machine for the smallest of shops, but it’s a pretty basic coffee machine that’ll get the job done. The Bezzera brand has been around since the early 1900s, so it’s no wonder one of their machines made the list. 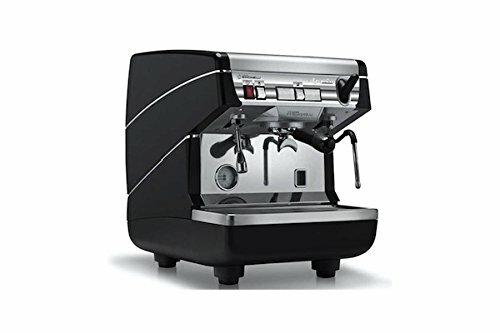 For a machine that doesn’t directly connect to the water line, this one seems like it’ll have you covered in most small coffee shops. Bezzera obviously knows what they’re doing since they’ve been around for so long. 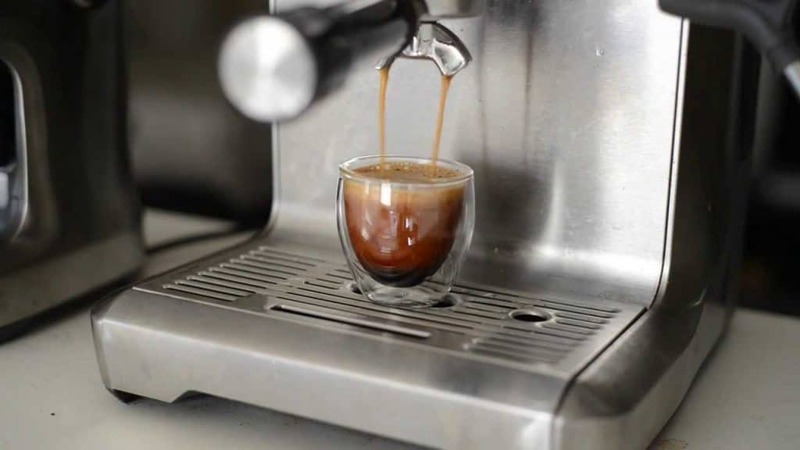 You can make espresso, steam milk, and pour hot water all at the same time. If you find yourself in the middle of a rush, the Bezzera Magica might not be able to keep up. If your store’s pretty low volume almost all the time, though, you should be okay with this model. The water reservoir will have to be refilled, which can be inconvenient sometimes. This coffee machine is easy to learn how to use. You get a lot of features for a relatively low price. There’s a lot going on here, but make sure it’s up to the task of your shop before taking the leap. You can’t set a brew temperature. 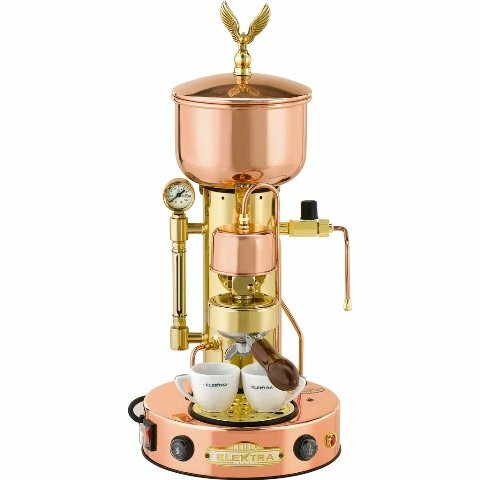 Want a quality espresso maker that looks cool while it works and inspires customers to strike up conversations with the barista while drinking their specialty coffee? Look no further than this one. This is the most unusual-looking one on the list. It won’t out-perform some of the other models in volume, but it could still be perfect for a low volume shop. 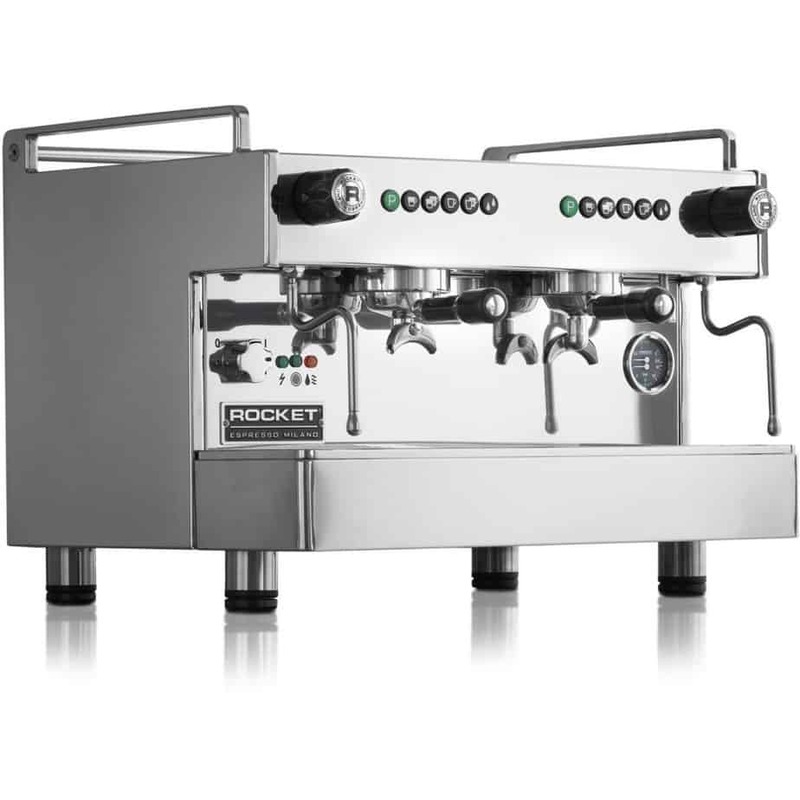 If you’re low on space, the Rocket Espresso Boxer could be the one for you. 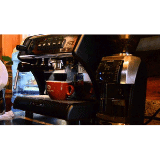 It’s a compact coffee maker that comes in high cup and espresso cup versions. The steam wands are heat-protected for your safety. 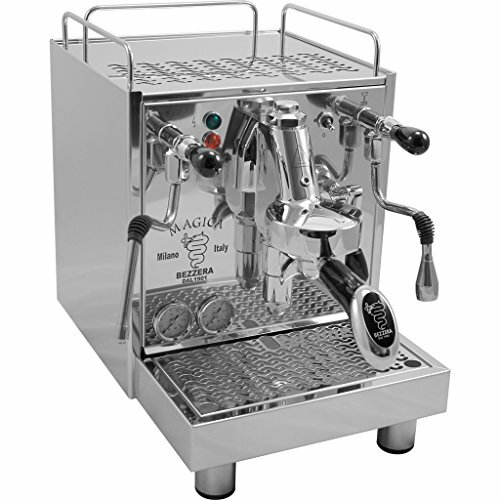 You can make quality espresso and steam milk at the same time for coffee drinks. This is not going to work in busy shops. It won’t be able to keep up with the demand. If you want to impress your customers with delicious, silky foam and beautiful latte art, this coffee maker can help you do it. 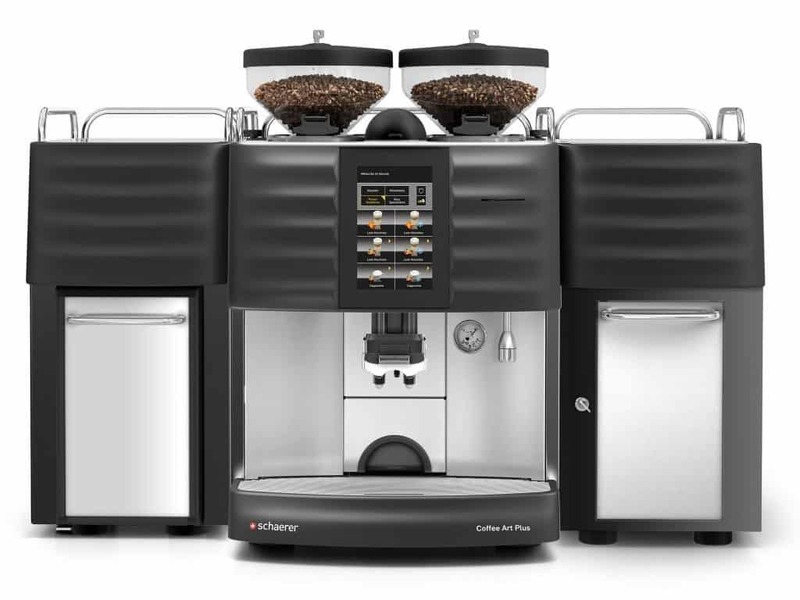 This is a machine that should be able to grow with you as your coffee shop grows. 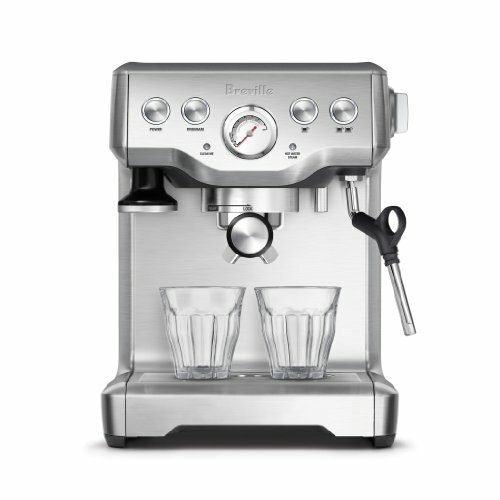 It’s designed to work, has a direct water feed, and even has built-in features to make the water you make your espresso with taste better (which, in turn, makes your espresso better). This one is one of the most expensive ones on the list at around $6000.00 to $7000.00. Do you need one that’s plumbed or is a reservoir okay? How skilled are your employees? How much business does your coffee shop do in an hour? What is your budget, and what is your expected return on this investment? Do you plan to keep your shop small and cozy, or do you need a machine that’s equipped to grow with your shop as it gets busier and busier? 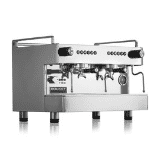 Which commercial espresso machines are you considering for your small coffee shop?